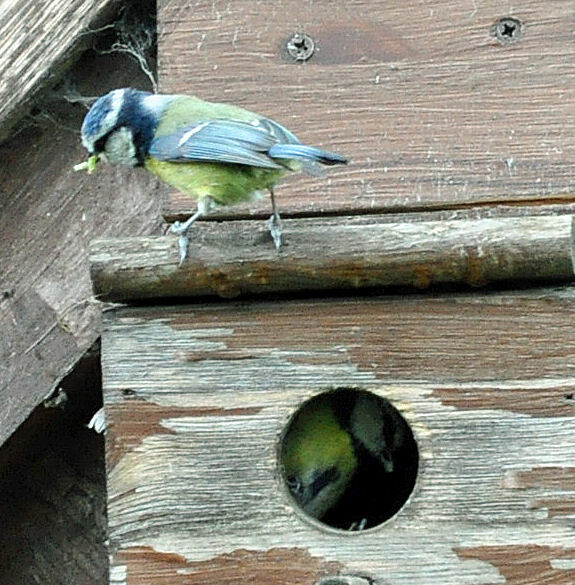 Feeding time at the box. I was clearing out the pictures on the memory card and came across this picture. It’s one that littlest took on my camera (among about 150 others) and I hadn’t got round to deleting them or putting them onto my computer. I really like this one, move over David Bailey…. Master Scottish Mum is giving you a run for your money. Lovely photo! Kids sometimes get them spot on, mine often go to close with the camera then every so often it just really works! Oh so cool! You were either really really quiet or you have a fab zoom lens! A bit of both It was only a 200mm lens and he crept really really quietly up and then sat still for ages.